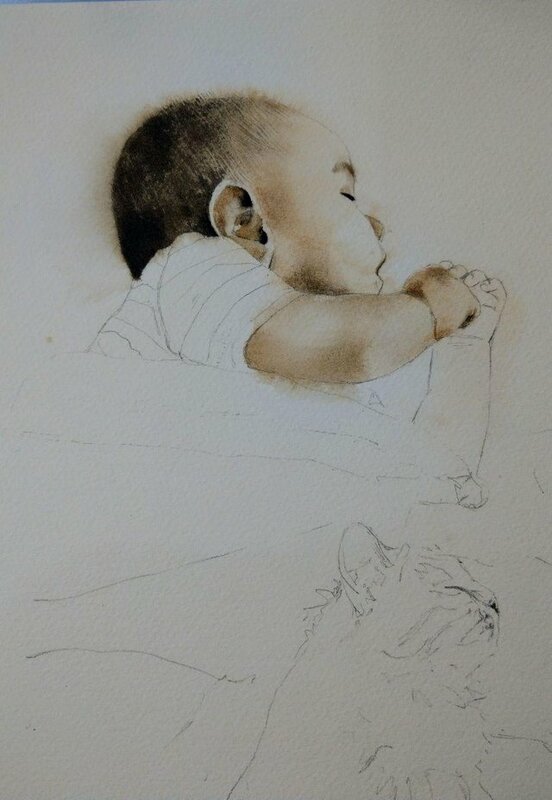 Continuing the theme of sleeping babies I drew a boy sleeping with his cat with similar poses 👶🦁. 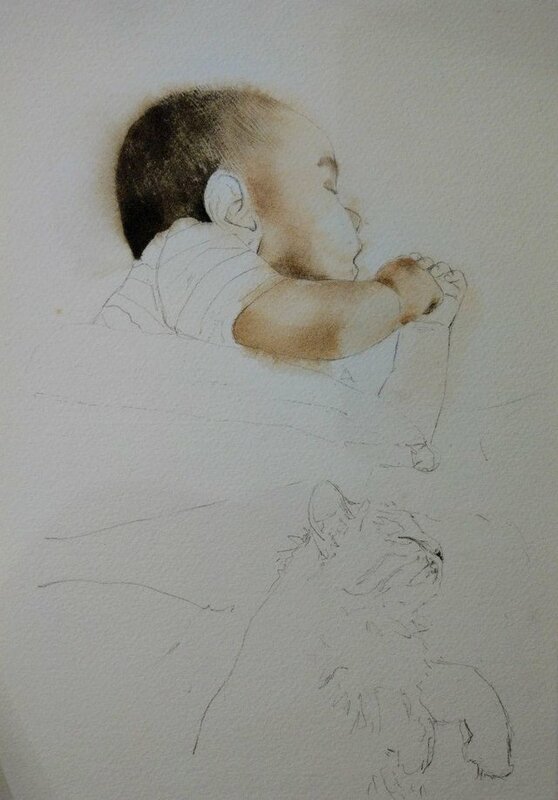 I referenced a photo taken by his happy mother 😊. 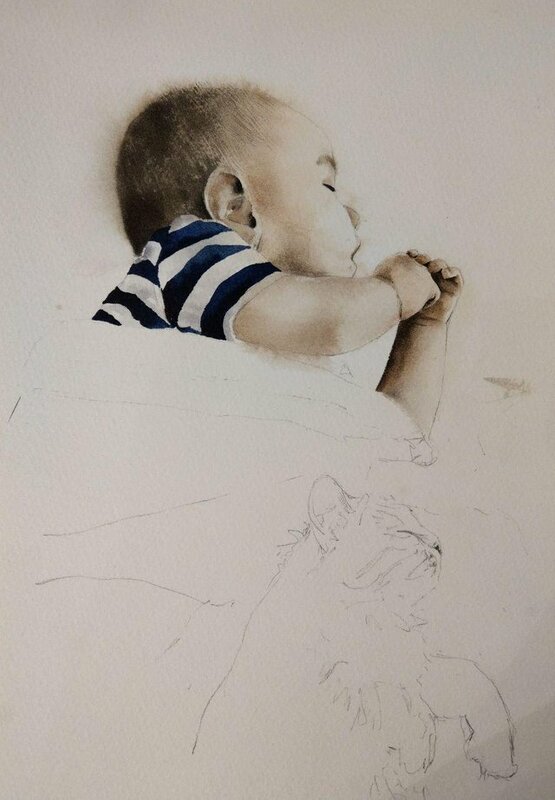 You are talented and have 'captured' the peace of this baby sleeping. 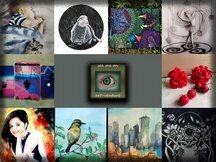 Your post was featured in an entry into @pifc's Curation Contest:Week 37. Posts are selected because the entrant felt you are producing great content and deserve more attention (& rewards) on your post. As such your post has been upvoted and will be visited by other members of the PIFC Community. I gave you a 100% upvote and I'll be following you! Спасибо большое! 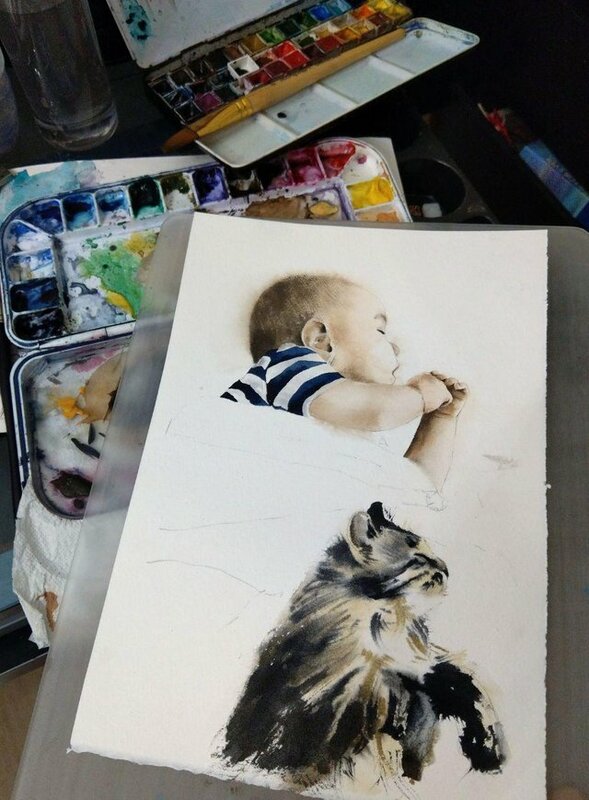 Love your drawing @natamurr 😍 amazingly beautiful.. 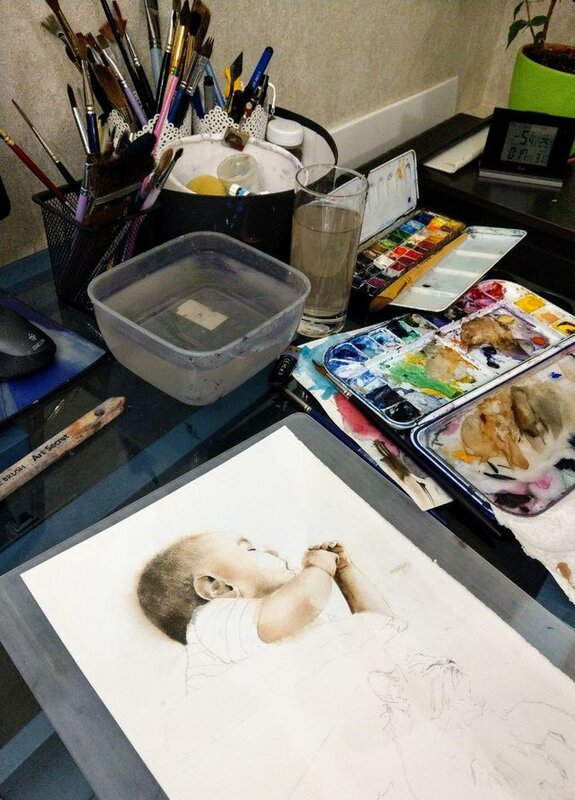 I thought it was a photograph until I saw the process. Awesome and wish you continued success! Found your post through @el-nailul entry post in the pay it forward contest this week. This is amazing! 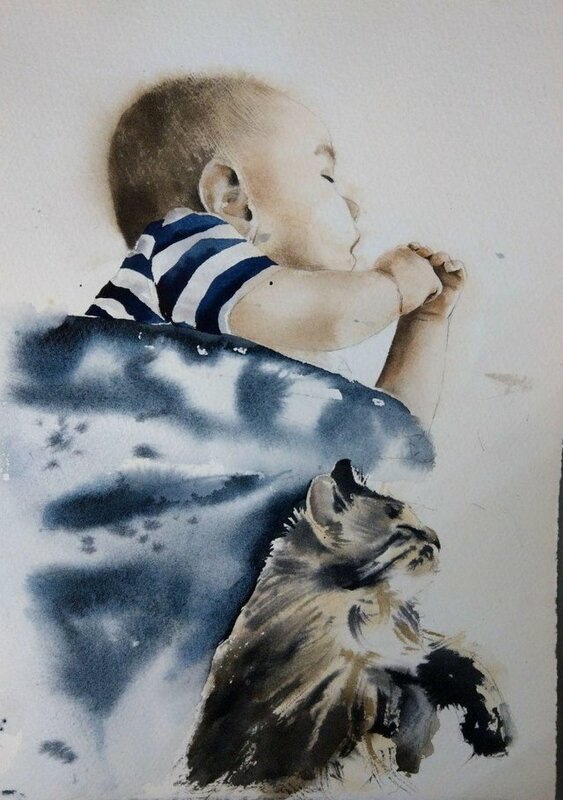 I love how you've captured the softness of the moment, cat and child both. 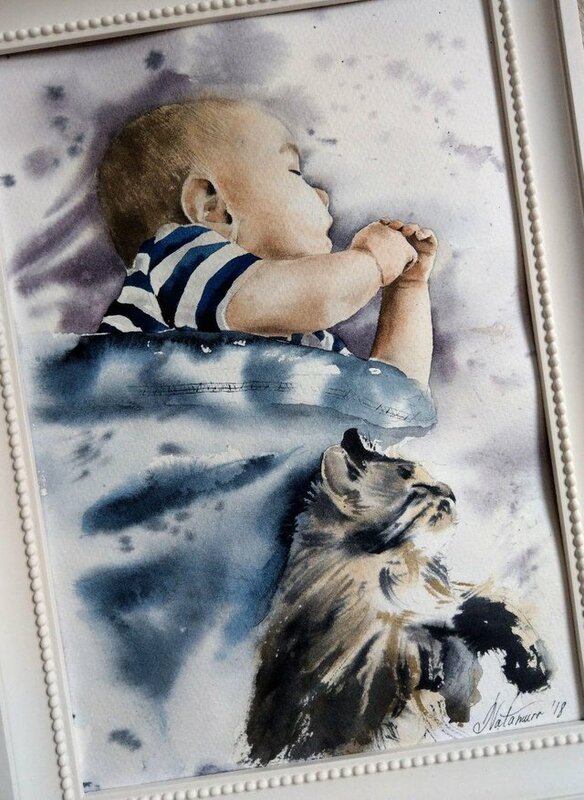 Cats seem to attach themselves to young children instinctively - and you've captured the bond perfectly. Great job! I found you thanks to @el-nailul's entry into the Pay it Forward Curation contest this week. Keep up the great work! 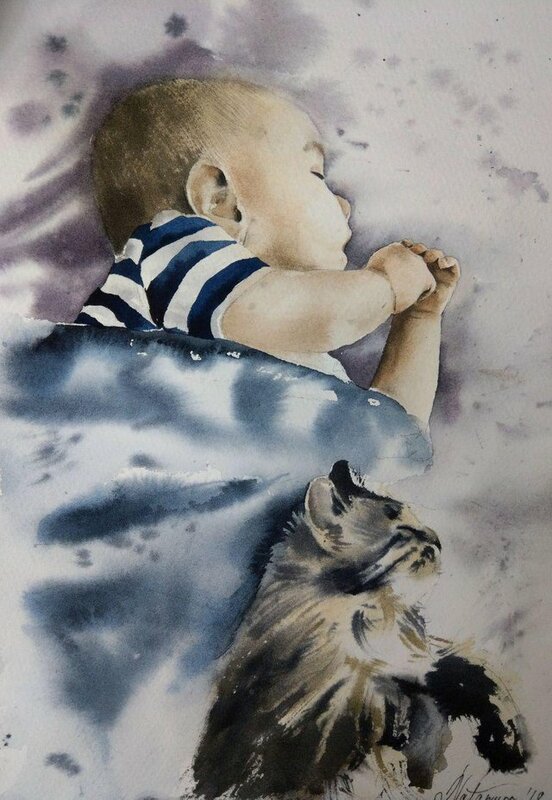 What a spectacular watercolor @natamurr!! 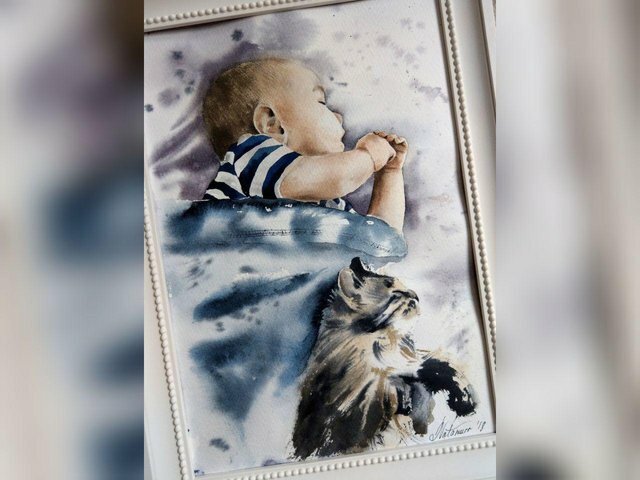 So sweet and very beautiful ... the painting and the captured moment! I found you post because @el-nailul featured you in a Pay it Forward Curation Contest entry; feel free to join us with an entry of your own any week!